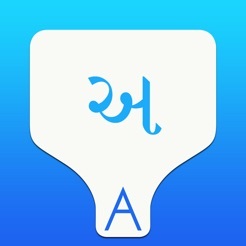 KeyNounce is the easiest way to type in Gujarati using just the English keyboard. 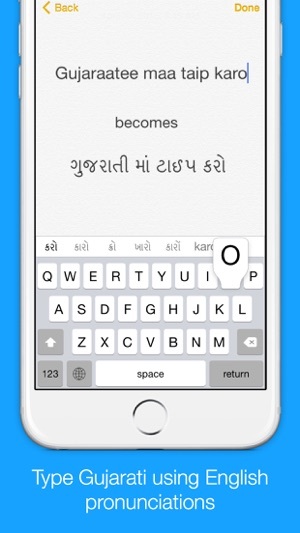 KeyNounce uses a technique called "transliteration" that enables you to type the Gujarati pronunciation in English, instantly giving you back the word written in Gujarati. For example, typing "padhaaro" will be converted into the Gujarati letters right as you type! It’s simple, fast and super accurate. You don’t need to worry about typing in the exact English spelling for an Gujarati word, KeyNounce is smart enough to accept many input spellings for the same output word. 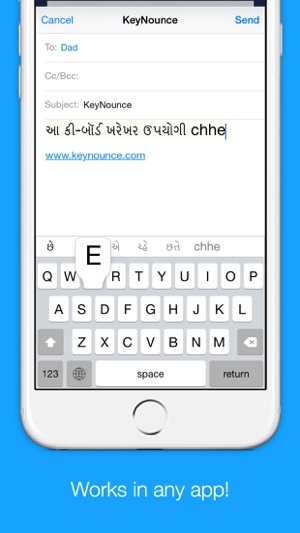 If you can write, or read Gujarati, but aren’t used to typing using the Gujarati keyboard, KeyNounce is the perfect solution for you. KeyNounce works in any app! 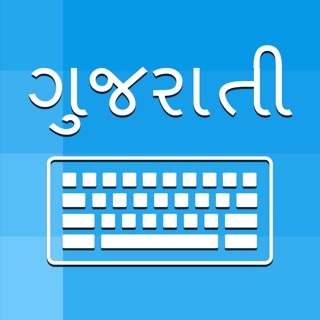 Once you enable the keyboard you’ll be able to easily compose texts, emails, tweets, facebook posts, and search the web in Gujarati. Fixed keyboard not showing any transliterations. This is a useless app. You will have to provide complete access to your keyboard so whatever you typing will go to the app developer. Also this is a demo version and will stop working after 2-3 days of use. Then it requires full per chase to make this app work. There are better options available in the market. Complete waste of time. This app only works if you provide full access to app where it can send all keyboard data to developer. If it is compulsory to allowing full access to use this app then do mention in description. This app says I can share it with my family. So I purchased it. But now, my family members cannot access it.. I don't know if it is a technical problem but my money is wasted now.. I feel cheated !! !